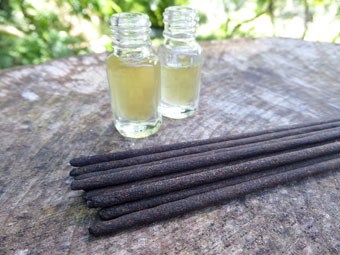 Scented only with with pure patchouli oil. 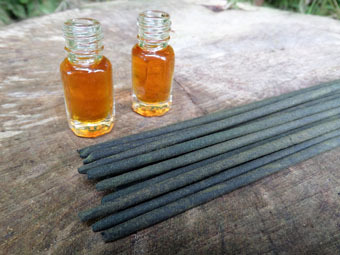 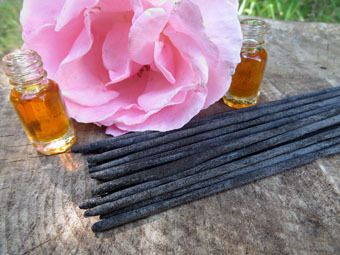 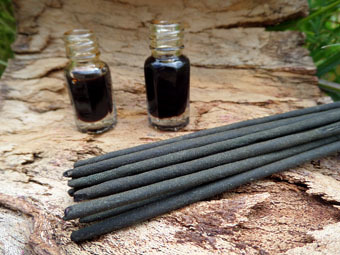 Our absolute patchouli incense has an exotic, sweet and herbaceous aroma, faint with musky heart notes. 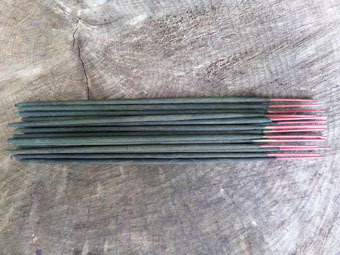 Hints of soft sandalwood and green lime are also present in this very earthy incense.